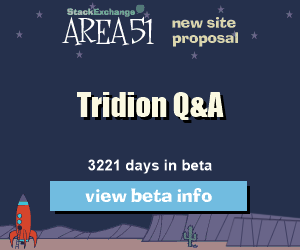 If you also think that it is essential that the Tridion community gets its own Open, Free and User driven knowledge base, then please consider following the Tridion Q&A site proposal at Stack Exchange Area 51. Please commit to the proposal if you feel you could contribute in any way. Support the proposal here.